macOS versions 10.13 or higher require user approval before loading new, third-party kernel extensions. 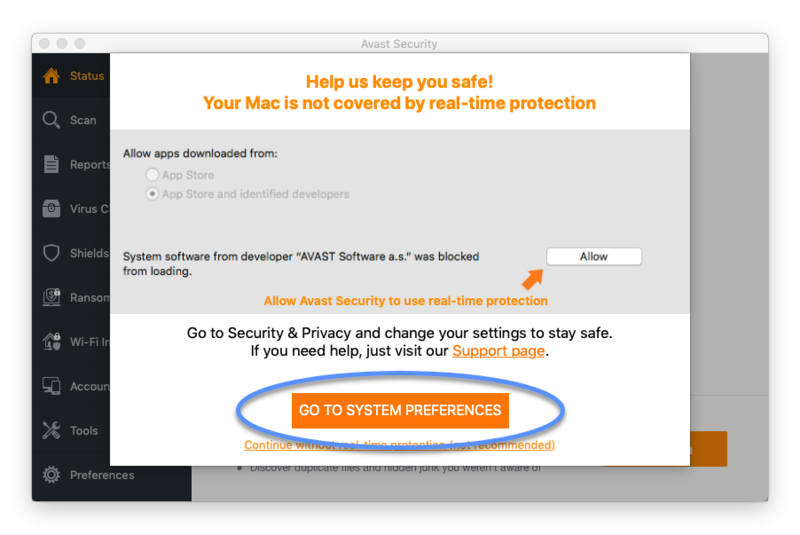 Avast Security for Mac uses kernel extensions for real-time protection features. 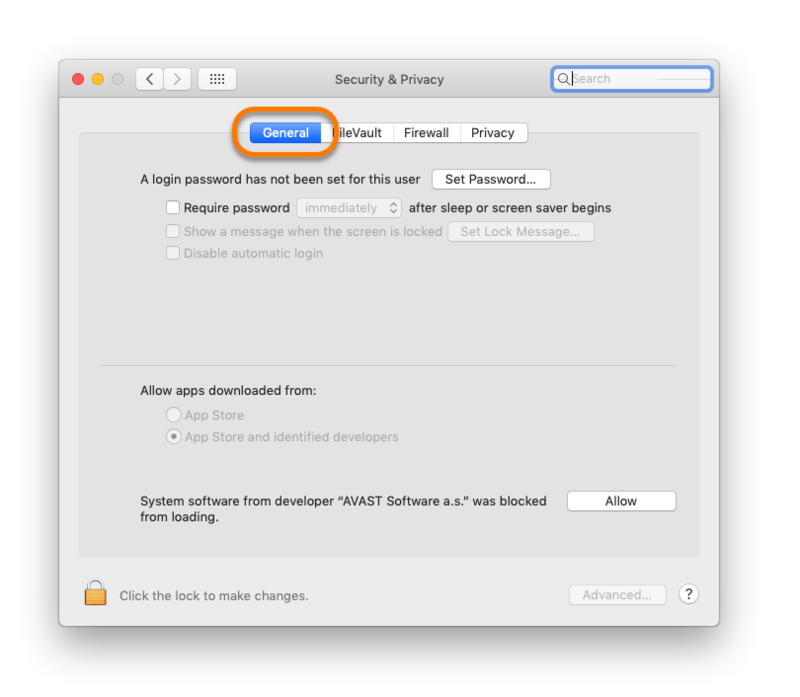 To ensure that Avast Security for Mac can fully protect your system, you need to manually allow Avast Software extensions. 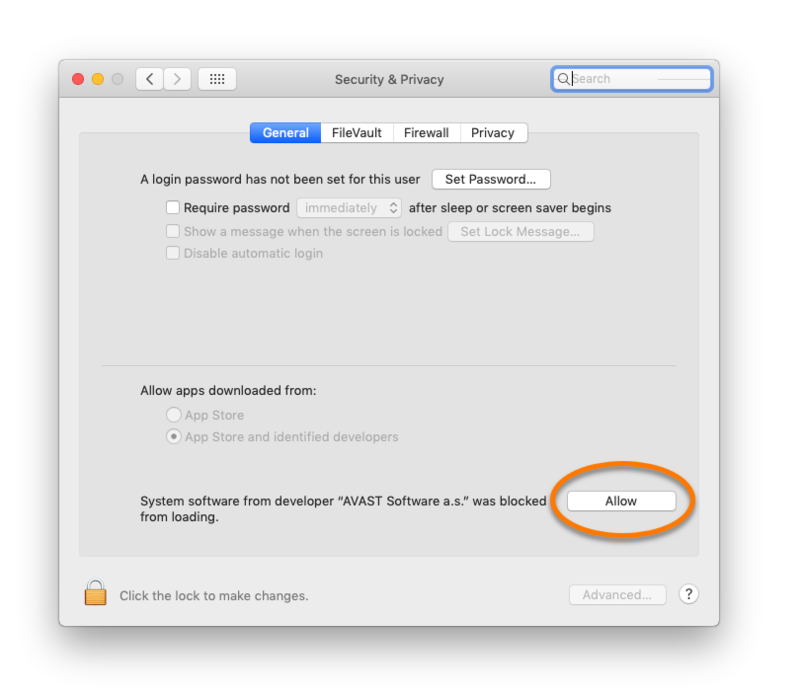 Click Go To System Preferences from the warning dialog that appears in Avast Security. 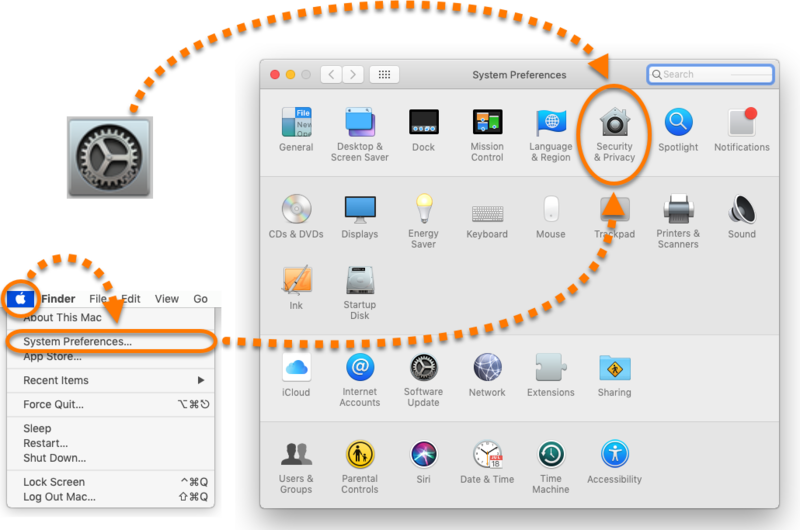 Alternatively, open System Preferences from the Dock or the Apple menu, then open Security & Privacy. Ensure the General tab is selected. Click the Allow button next to System software from developer "AVAST Software a.s." was blocked from loading.